Soul Track Mind comes out firing on all cylinders. Meticulously mixing styles together to come up with their own groove, all the while showcasing frontman Donovan Keith’s impressive vocal range and spontaneous dance moves. Watching the energetic and passionate Donovan Keith on stage, one would find his execution of timely mad falsetto to be dazzling audiences throughout the state of Texas. The band’s sound and passion come from its members’ deep respect, knowledge of R&B, Soul, Funk, and many other styles of music, making them a force to reckon with in the modern soul scene. Soul Track Mind continues to blaze their own trail, creating their own brand of “modern soul” in their latest album release, Unbreakable. Tell us about that one moment you realized music was your life. What was that like for you? It wasn’t any one big moment, but a lot of small powerful moments. I come from a performing background. I started out acting in High School and College, then doing sketch comedy and Improv for a few years and eventually took up singing after realizing that I was more emotionally connected to music and that type of performing than I ever was in acting. Sometimes I saw a musical performance that moved me emotionally. Sometimes it was just a studio recording of a song by itself. But in those moments I decided that’s what I wanted to create and be a part of. And ultimately I have merged my emotional connection to music with my stage presence and performance skills. Music to me is emotion. No one can live well without them. I have singers which inspired me. Sam Cooke and Otis Redding. Little Richard. Jackie Wilson. The list goes on. I admire them because of the adversity they had to deal with throughout their performing careers. Not just with the obvious civil rights issues of the day, but growing up poor, among fierce competition etc. And all the singers I connect with were also great performers. The way they connected with an audience and the way they connected music with emotion is something I have connected with and it’s the same thing I try to utilize when I perform. Not everyone can convey that in a genuine manner. Especially with Soul music and similar genres. There are many people like myself who try and mimic what they “think” Soul is supposed to look and sound like, but they just don’t really get it and they can’t convey it in a genuine way, because they are simply playing at the idea of Soul and don’t grasp the truth of it. It’s very important to me that I’m honest and genuine on stage and live in the moment. So then, the next step was to start a band? Who are these guys? I started the band in January of 2008 when I moved to Austin in search of musicians who could help me play some songs I had written. I met Jonathon Zemek, the guitarist in March of that year and it took off from there. The band has had it’s share of tumbles and successes since then and absolutely nothing has come easy. But the band survives and continues to thrive. 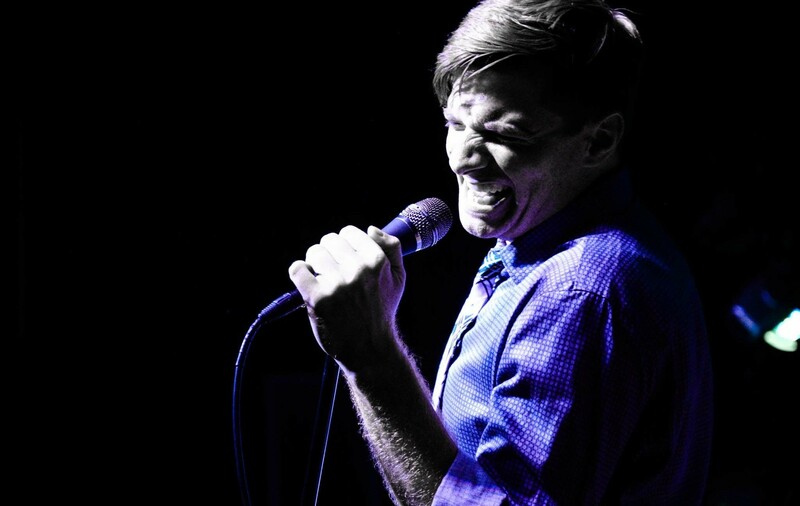 Soul Track Mind has a unique sound with a contemporary twist to old soul. Were you influenced by old records? Which ones? I’d say the single most important record in my developmental music life was Sam Cooke’s “Live At The Harlem Square Club”. Not just the recording itself but where I was in life at the time and how that record led me to more Soul music and artists that I would later be influenced by. But there’s a single moment in that recording that changed me forever. Writing about that I should probably save for a book rather than this interview. haha. But one day…. Your shows bring so much energy to the crowd. What are your fondest memories of performing for your audiences? Going back to that emotion thing again. The best memories have all come from emotional connection. Watching people cry, couples interacting with each other and coming together and dancing for the first time because of our music. Also engaging with younger kids at some of the larger outdoor concert series or festivals. Children respond so much to the power of our performances and it’s quite something to see a child totally captivated by what I do because they’ve never seen anything like it and they’re in awe sometimes. It’s a purely innocent, curious, and amazed connection. They might not all be future singers or musicians, but I think it’s important for kids to see a real energetic full band and stage performance because it’s a dying art. Your performances always look effortless. Do you get nervous before a show? I never get nervous before a show. That comes from my theater experience and doing comedy for so long. Comedy is the hardest thing there is. Being a singer is a cakewalk next to being a comedian. And no matter how bad a show might go, it’s nowhere near as bad as times where I’ve bombed as a comedian. That’s stand up or sketch comedy. Bands can easily recover from a bad show because the talent is still there or you had an off night, etc. Bombing as a comic is not an easy recovery and it makes you question your entire life, hahaha. Every band has a nightmare story. What is yours? We got sucked into a pay to play battle of the bands situation years ago in Austin. Easily won the preliminary round. Sold 150 tickets at $10 a piece to the final event and should’ve easily won that, only to find out that the venue double booked the event and everyone was forced to play 3 hours earlier than advertised. In the end our band never got to play and we had to forfeit because of the miscommunication and how poorly the event was run. An embarrassing moment for all involved at the time, but it didn’t really effect us in the long run and we got our money back. You are wild on stage. When you run across people that have never seen you perform, how do you describe your show? Crazy, energetic, inspirational. I don’t care if people dance or not as long as I made them feel then I’ve done my job. Tell me about the band’s lyrics and give us a deeper understanding of what inspires you? Personal experiences inspire the lyrics I write. That doesn’t mean that what I write actually happened or that I’m singing about personal things per say. But I’m definitely not the kind of writer who uses imagery that makes no sense, just to use imagery. I want people to know and understand what it is I’m saying. And a lot of our songs have inspirational under tones or facing difficult and rising above it. It’s a lot like writing a play or a film script, or a tv show. In those instances people watch them to see people deal with humanity. The same is true with music, it’s just in a different format. 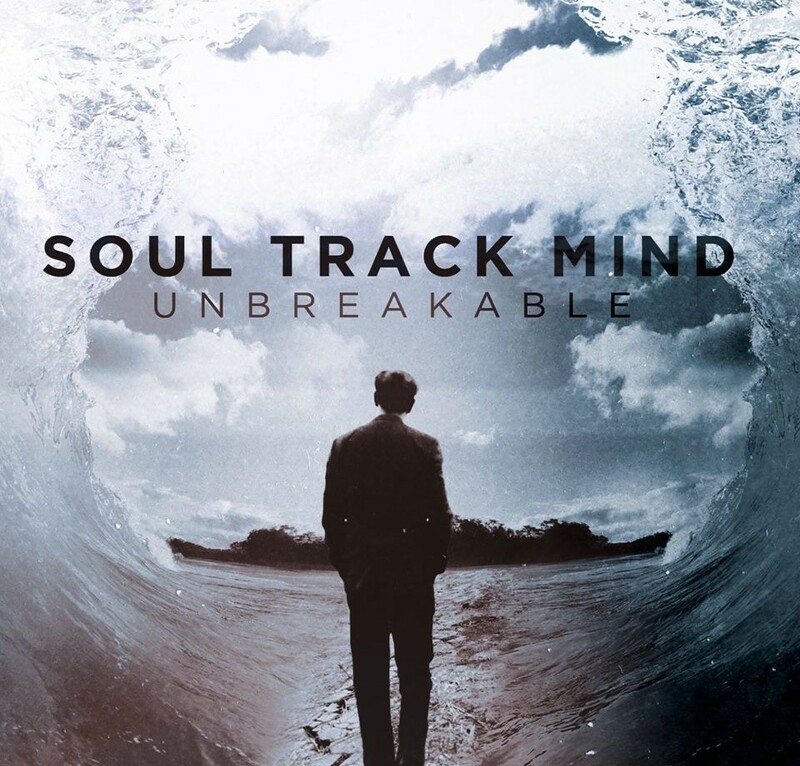 Soul Track Mind has a new CD out now, Unbreakable. How do the new songs differ from your older material? They are vastly superior in production quality. We owe that to CJ Eiriksson, our producer on the album. He helped us capture the modern sound we’ve been wanting to capture. We wanted to stray from the Soul Revivalist thing because we kept getting stuck in that label despite our original material never really being that. Our original sound has always been progressive and unique. We just hadn’t had anyone before who could bring that out of us. It’s a combination of that level of production and maturity in the songwriting from myself and Jonathon. But this is the best we’ve ever sounded in a studio recording. And we keep pushing ourselves so expect the follow ups to be even better. What have you learned about yourself in the last couple of years since Soul Track Mind was first formed? That you’ve got to stand up for who you are and not let other people’s opinions of you drag you down. As a frontman and singer I get just as much criticism as I do praise, and if you paid attention to all of it, it’d be enough to make anybody crazy. The more successful a band becomes, the more enemies it has, the more people want a chunk of it, or the more control someone wants over it. It’s easy to get lost in that fog between doing what you set out to do, and doing what others expect of you along the way. I’ve been through that plenty of times and it’s always difficult. Do not sacrifice who you are for the sake of success or for the sake of other people. I know that sounds obvious but truly when you’re deep into this business those lines become blurred from time to time and we all fall asleep. Ya just have to wake yourself up before it’s too late. What is next for Soul Track Mind? Now that we finally have the sound we’ve been searching for we want to make a heavy push behind this album. We’ve had a highly successful album release and we have a lot in store for all of 2015. Not just to tour behind this album, but to continue to write new material and push ourselves as artists and save as many souls as we can.